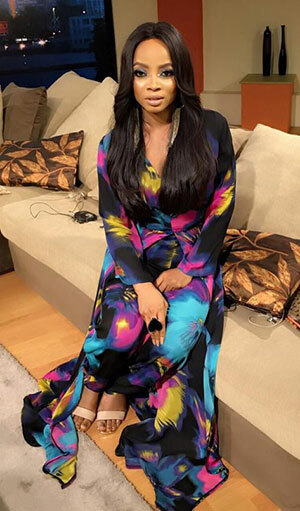 Nigerian media personality Toke Makinwa has featured on CNN International’s show CNN African Voices, speaking about her journey in the industry, her experiences, expectations and aspirations. According to Toke, being featured on the weekly half-hour magazine programme is a dream come true, and her desire to appear on it was one of the things that pushed her to be better at her craft. “I remember sitting up in bed a couple of years ago watching African Voices on CNN. It was Tiwa Savage’s episode and I was intrigued just watching her talk about her craft. I won’t forget in a hurry. She was in a studio and I just kept thinking to myself, ‘One day, one day CNN will interview me too and it will be ever so inspiring,’” she said. “Watching my journey humbled me. It’s easy for us to focus on what we haven’t achieved yet without taking stock and giving ourselves credit for how far we’ve come.